The course material is divided into modules. A module consists of a slide presentation and a test. 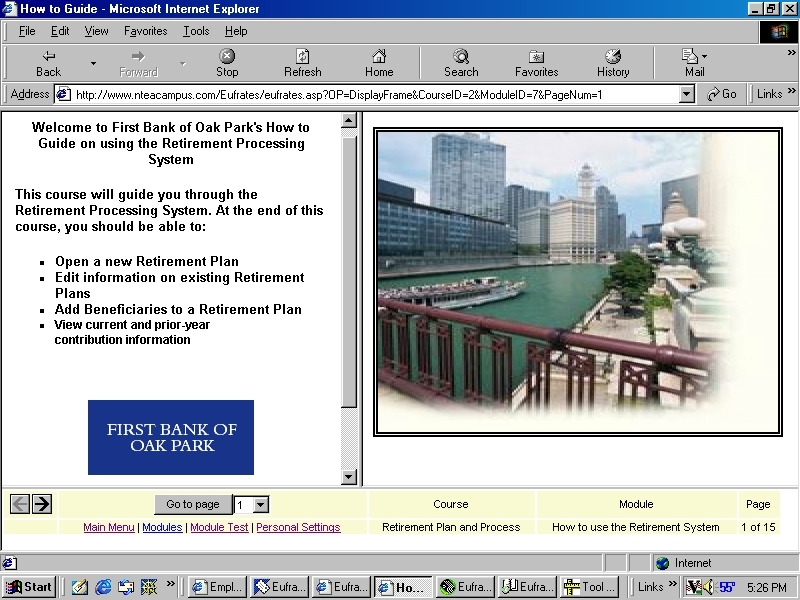 The slide presentation contains written and audio text, and a slide showing examples or additional information related to the lecture. Once the slide show is completed, students take the module test. Similar to the pre-test, the module test consists of multiple choice or true/false questions covering the subject matter of the module. When all questions are completed, students may view the results. The test details will inform them why an answer is correct or incorrect, and will include a link back to a course page for more study and review. Essay questions may be used occasionally to test the student’s grasp of writing and analysis. Scores and feedback will be given from the course instructor. Test results will not be available for review until the essay is graded.